Once again we are proud to be a part of regions Harvest Festival showcasing local wineries, brewers and foodies. Its a great day for everyone! 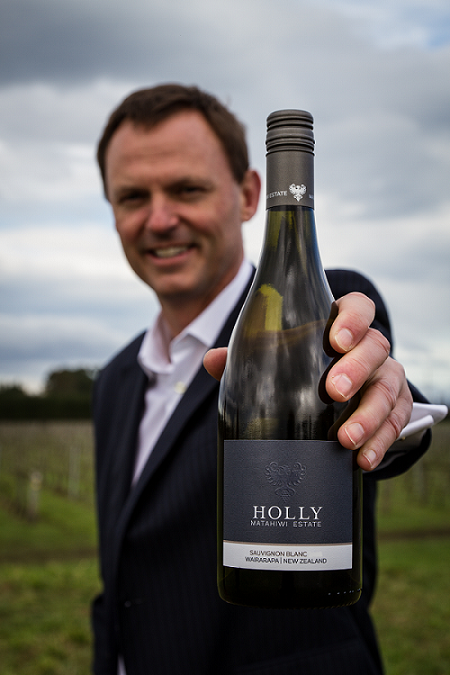 Our Holly Pinot Noir 2013 has just been released and it is looking fantastic. The vintage was a hot one which is showing through as a pretty powerful wine with ripeness, depth and structure. Its already been awarded 5 stars by Raymond Chan! Check out his full review here… http://goo.gl/Aj7yGu. Don’t forget to get your hands on some before we sell out! We are very pleased to be supporting the North Island Cycling Series this year. The final stage, race five, will be finishing at the gates of Matahiwi Estate on the 6th of December. Come down to watch the action! We will be running a tasting and the cellar door will be open. We are excited to announce that our Holly Sauvignon Blanc 2013 has picked up another Gold! This time from the International Wine Show. This comes only a week after we won a Gold in the Drinks Business Sauvignon Blanc Masters. It’s a great confirmation for the style of Sauvignon we are trying to create. And the hard work put in by a very dedicated team! Drinks Business Gold and Silver! The Drinks Business held their Global Sauvignon Blanc Masters blind tasting in October and our wines both scored very highly, and one of them received one of the top medals and scores in the whole tasting! Our Holly Sauvignon Blanc 2013 was awarded Gold and the Matahiwi Estate Sauvignon Blanc 2014 was awarded Silver. The results are in and our Holly Pinot Gris 2012 and Late Harvest 2013 have both picked up Gold in the China Wine and Spirits Awards! These are both the first vintage for producing this award so we are really pleased that the hard work in the winery has been rewarded. We are excited about these wines being part of the range! If you would like to try these for trade please get in touch. Once again we are running our sellout ‘Winemarker for a day’ event at the winery. Tickets are selling fast so don’t miss out! Our Estate sauvignon shines in China’s biggest and most prestigious wine and spirits competition! The Matahiwi Estate Sauvignon Blanc 2013 has just been awarded with a Gold medal at the CWSA Best Value competition. What a great accolade. The wine triumphed in the blind tasting alongside the most famous brands in the world including Penfolds, Robert Mondovi, Astoria, Osborne, Wolf Blass, and 4,350 wine and spirits from 35 countries. This news has been a very pleasant surprise and we are thrilled. Our Matahiwi Estate ‘Holly’ Sauvignon Blanc 2011 has been awarded ‘Pure Gold’ at the 2013 Bragato Wine Awards. Held each year as part of the Romeo Bragato Conference, growers and viticulturists from around New Zealand are recognised for their viticultural excellence – the foundation of making wines of true quality. 495 wine entries resulted in 51 Gold, 107 Silver and 181 Bronze Medals being awarded. The Holly wines are special. They are different. They have strong character and personality, just like Holly, the daughter of Alastair Scott. Produced in limited quantities, these wines are individual in style.